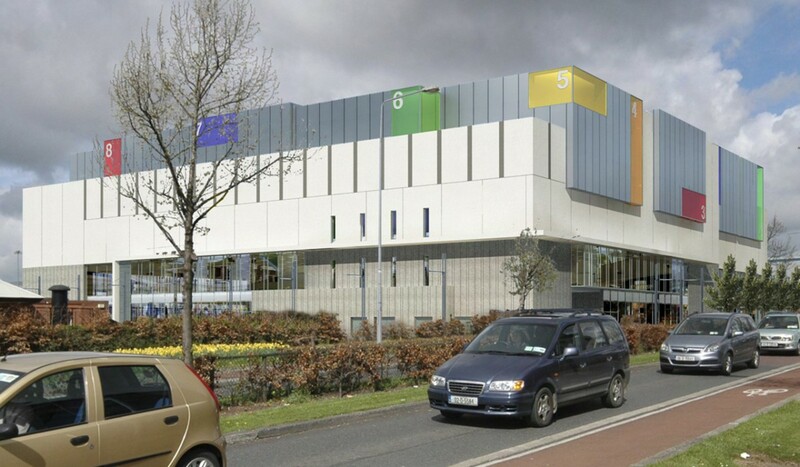 This landmark proposal for Grattan Properties has been warmly welcomed by South Dublin County Council as an important addition to the Town Centre and urban fabric of Tallaght Town. 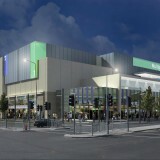 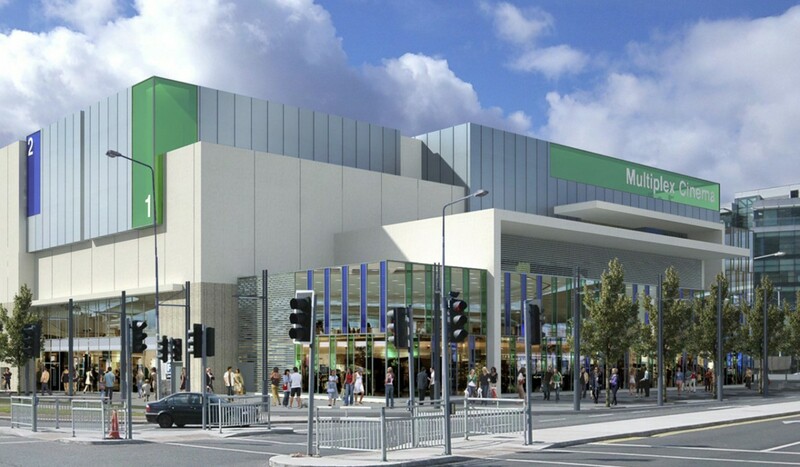 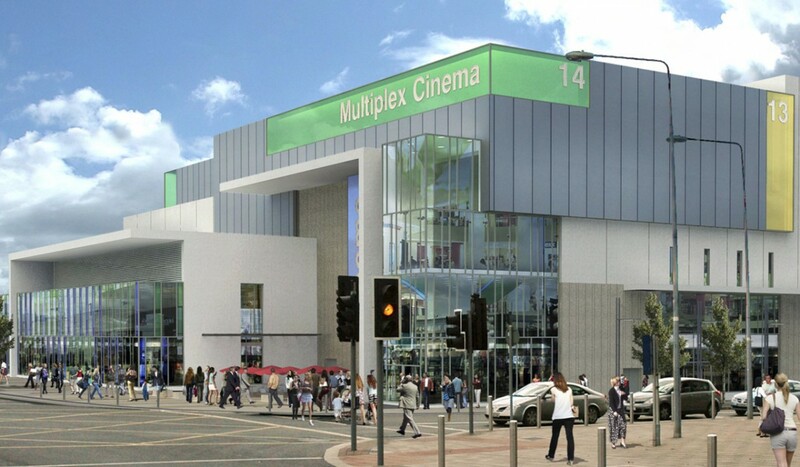 The scheme includes high profile double height retail units at street level to the three main frontages with direct connections to the Square Shopping Centre, a new public plaza, street level cafe and a three level Cinema/ Leisure complex for UCI/ Leisureplex with 14 cinemas and 3000 seats at the upper floors. 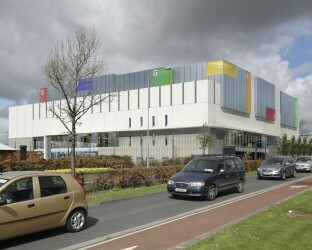 In consultation with the South Dublin County Council Planning department, Burke-Kennedy Doyle Architects developed a design philosophy for the building which uses the cinema volumes to provide articulation to the elevations while reducing the buildings apparent mass and giving the development a distinct and recognizable character within the area. 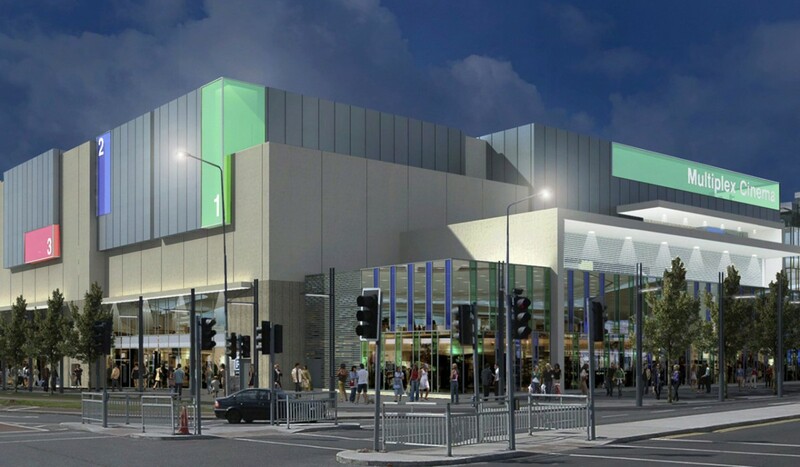 This philosophy is enhanced by the addition of backlit coloured glass light boxes to mark the presence of a significant and vibrant new after hours use at upper floor level on the site. 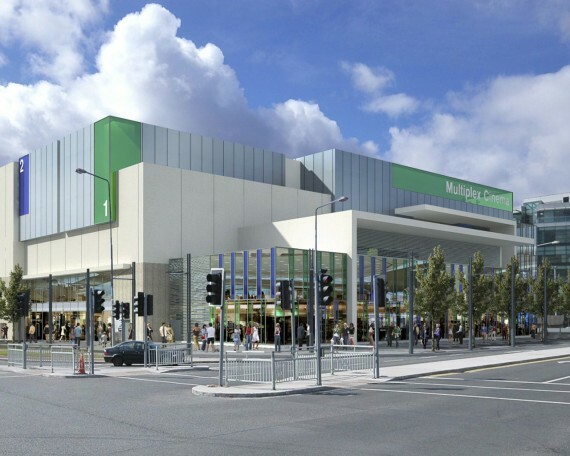 The design has been widely commended and full planning permission for the 350,000sq.ft development was granted without recourse to An Bord Pleanala.